Large size under garment money belt is thin enough to be worn under your garments or over as a waist pack.. One large zippered compartment, 13 inches across, will hold passport, currency and papers (can hold a very large amount of currency, if needed). The zipper will not set off metal detectors. There are two 6 X 3.75 in. 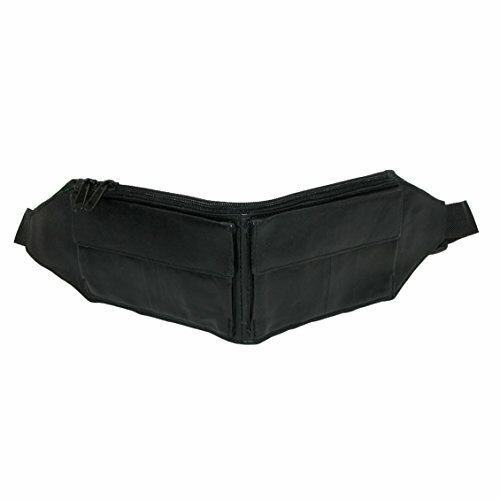 pockets on the front with a hook and loop closure that will hold credit cards, checks, change, keys and more. Measures 17 inches across x 4 1/4 inches high. Adjustable strap fits up to 42 inch waist.